Hey y'all! Hope you are having a fabulous Wednesday so far! 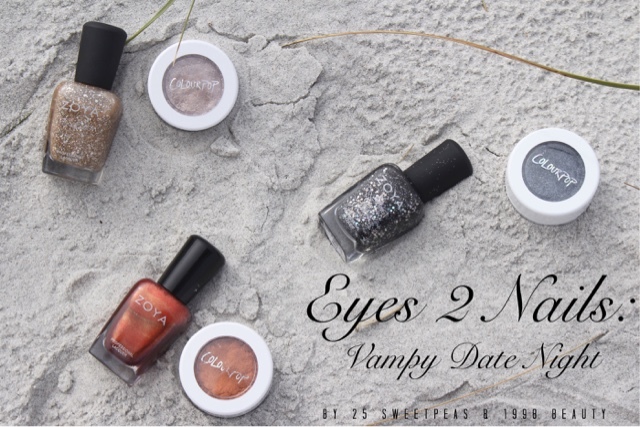 Today my friend and I are finally kicking off our Eyes 2 Nails series! So 1998 Beauty will be taking care of the eye looks and I will be doing the matching nails! 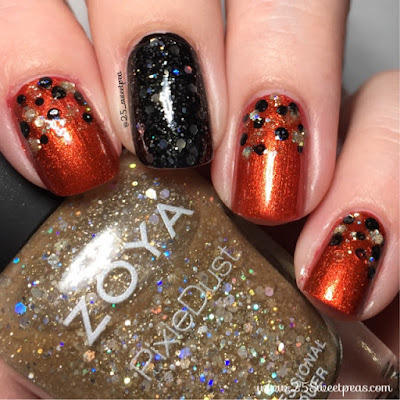 We thought it would be fun to match some eye shadows to polishes, and this week we are using Colour Pop & Zoya to do that. Now here are the colors we have paired up! 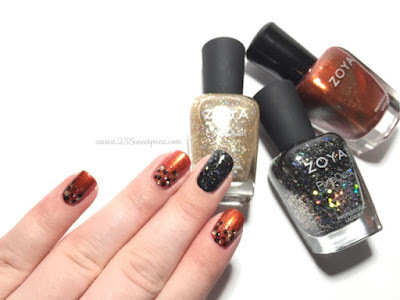 You can find most of these still for sale on Colour Pop and Zoyas site. Real quick price wise all of these eye shadows are $5 each, plus if you sign up to get emails you will get a $5 off. Then the Zoyas have recently been raised to $10 online, in stores such as Ulta they are still $9 as far as I know. I used Imogen as an accent nail and then Channing on all of the rest. Then to bring all of the colors together I just dotted Bar and Imogen on all nails that had Channing on and kind of just did a dotted gradation type thing coming down from the cuticle. 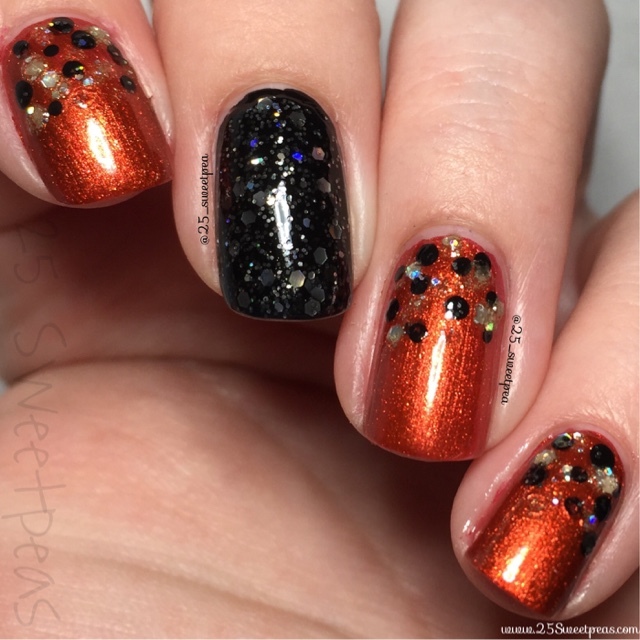 Super simple to do and just a quick mani. 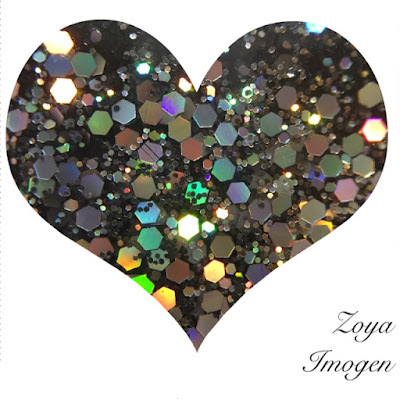 Here is a fun pic of Imogen! Well actually I have two if you would like to see! It's just so so pretty, am I right?! Here is 1998 Beauty makeup tutorial. Click photo above to watch the video! Hey guys! I hope you all enjoy this collab! I am super excited for y'all to see what we have planned for the upcoming weeks. This week is super vampy and fun. The three colors we chose go so well together and I love how the nail and the eye looks came out. I wanted go all out with the eyes and keep the rest of the face pretty toned down. 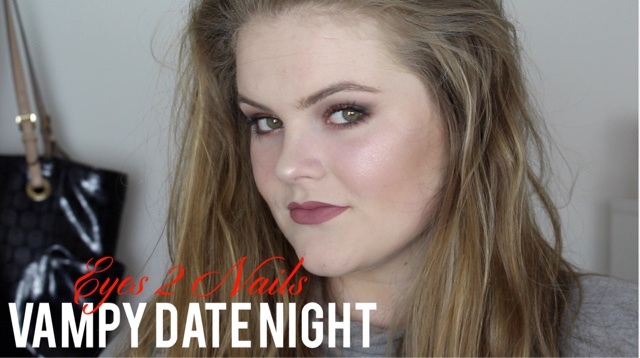 I think the smokey winged out eyeshadow is perfect for a night out. If you recreate either of the looks please tag us in them so we can see!! Here is the full up close look of this mani! I am really loving these colors together. Now lets take another look at the eye makeup! I am loving it, plus the lip stick it perfect! The smokey winged eye shadow line is just really perfect ! I think I may have to get a few of these Colour Pops myself. I have a few already and LOVE them! Well that is all for today! Hope ya'll enjoyed this! Also if you have any specific looks you would like to see for a certain occasion let us know we may just have to throw it into our line up! :) If you use decide to try out some of these looks tweet them to use, or tag us on IG! We would love to see! Love it! Great colors and shades that really look so great together. A must try!